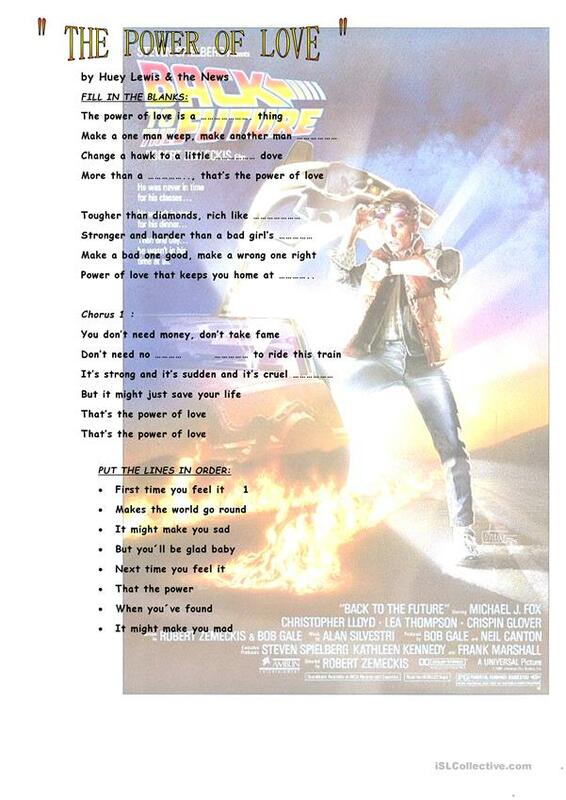 LET´S SING: "THE POWER OF LOVE"
Enjoy this wonderful song from the movie BACK TO THE FUTURE, by Huey Lewis & the News . As you listen, you do the various activities (fill in blanks, put in order, choose the correct word). 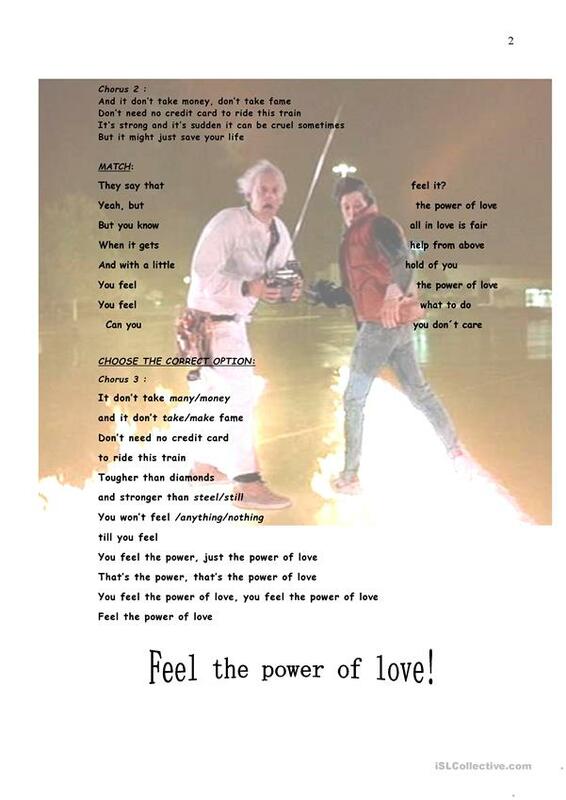 Feel the power of love! The above downloadable printable is meant for high school students, elementary school students and adults at Elementary (A1) level. It is excellent for enhancing your class' Listening skills.